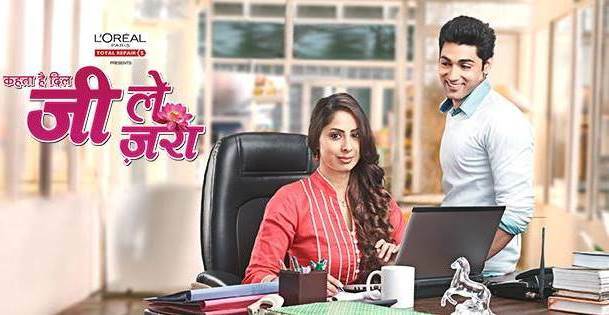 After some romance blooming between Saanchi and Dhruv, Kehta Hai Dil Jee Lee Zara on Sony Entertainment Television, will soon see a Karva Chauth sequence. In an upcoming episode, the viewers will get to see some high end drama and celebration. It is Praachi’s first Karva Chauth at her in laws house and she is finding really hard to keep the fast. To convince her and make her understand the value of Karva Chauth, Saanchi will decide to accompany her in keeping the fast. On the other hand, Dhruv is trying hard to make the perfect halwa for Saanchi so that he can win her heart. The twist will happen when circumstances will lead Saanchi to break the fast by eating the same halwa which Dhruv has made for her.